Click on the respective teams to view their solutions and watch the pitches! 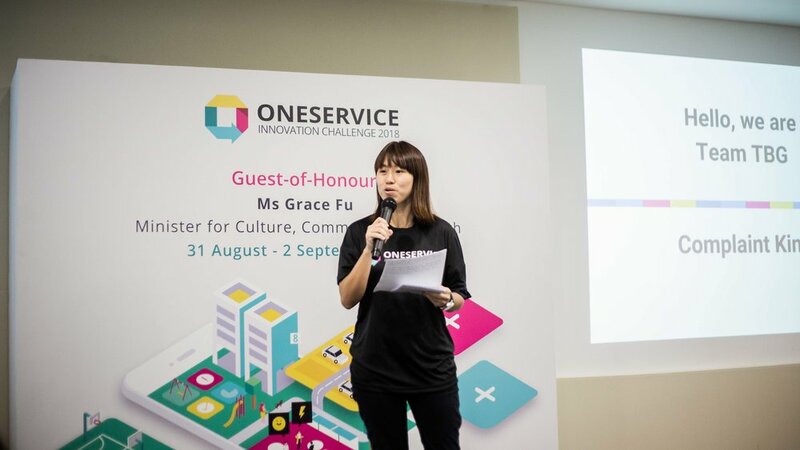 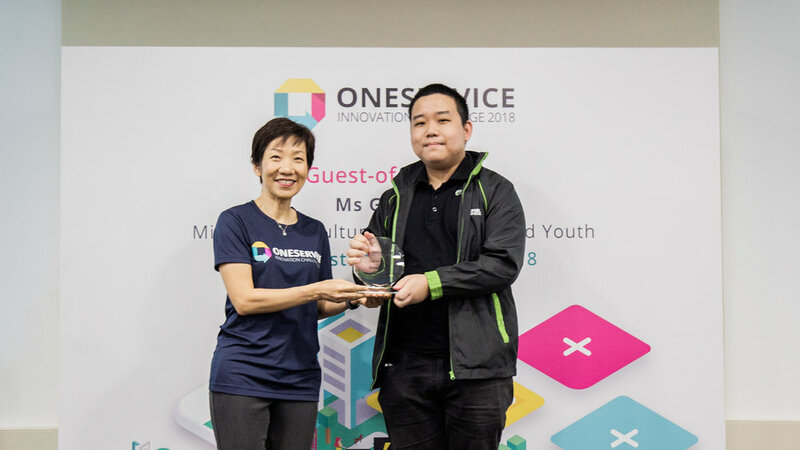 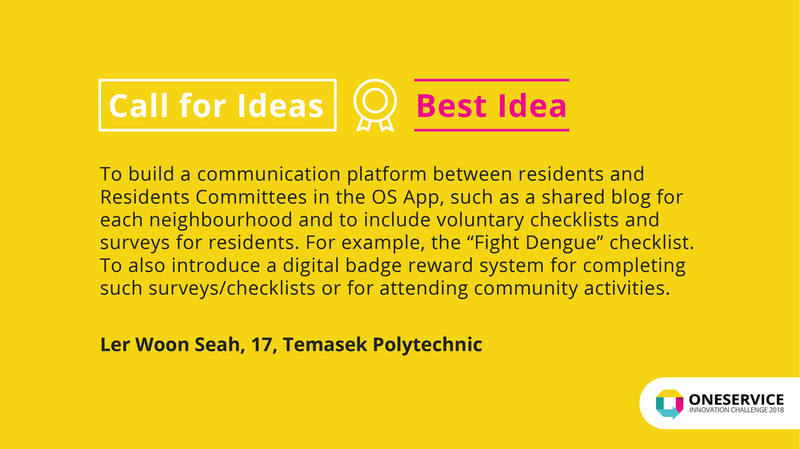 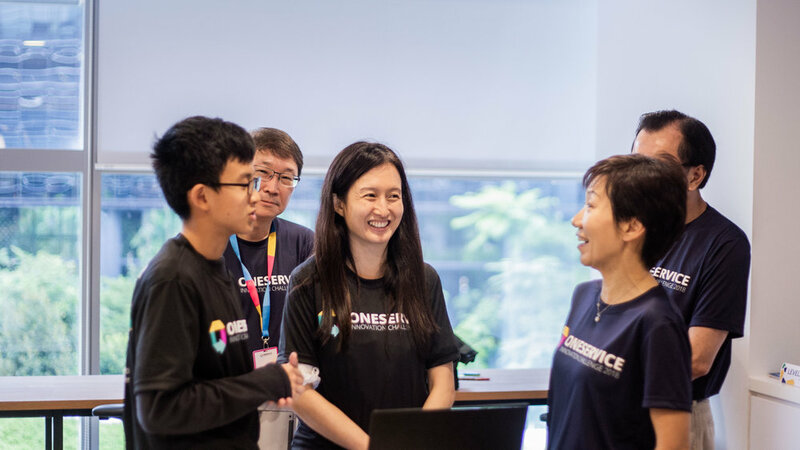 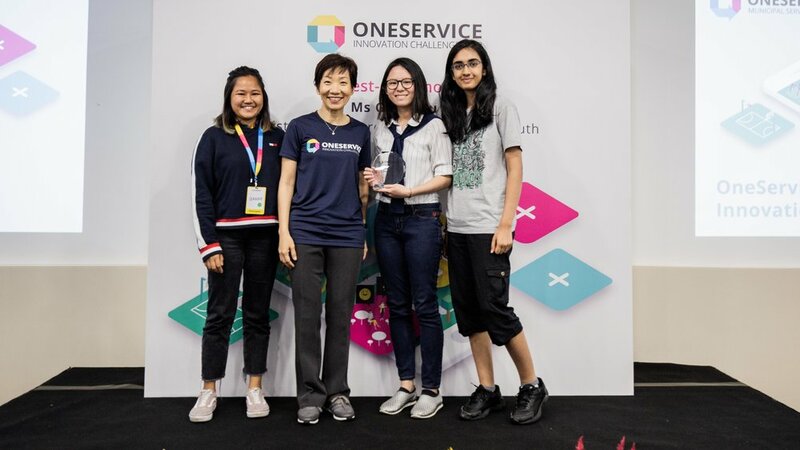 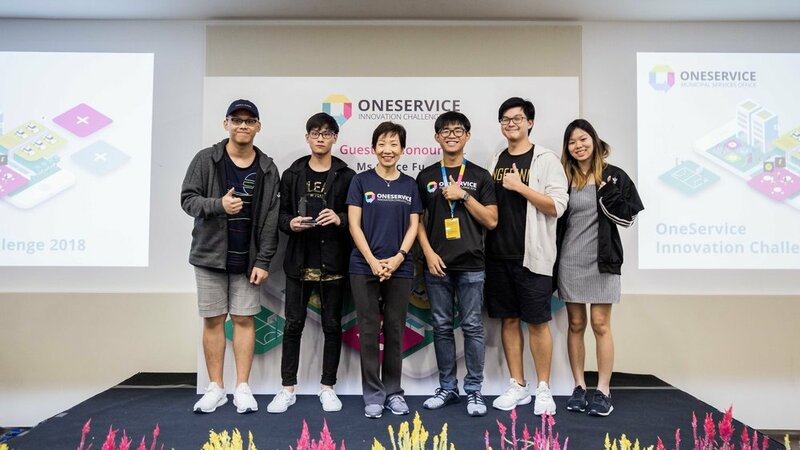 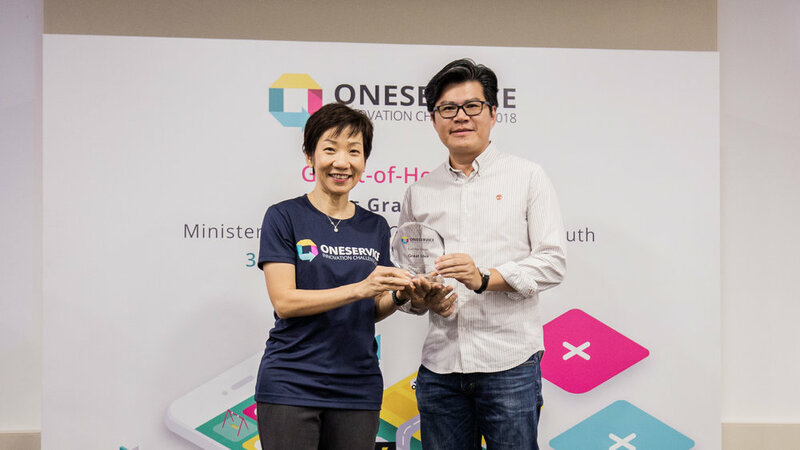 Call for Ideas is a nationwide online competition for all Singaporeans and those residing in Singapore to submit ideas on how the OneService App and Portal can be improved. 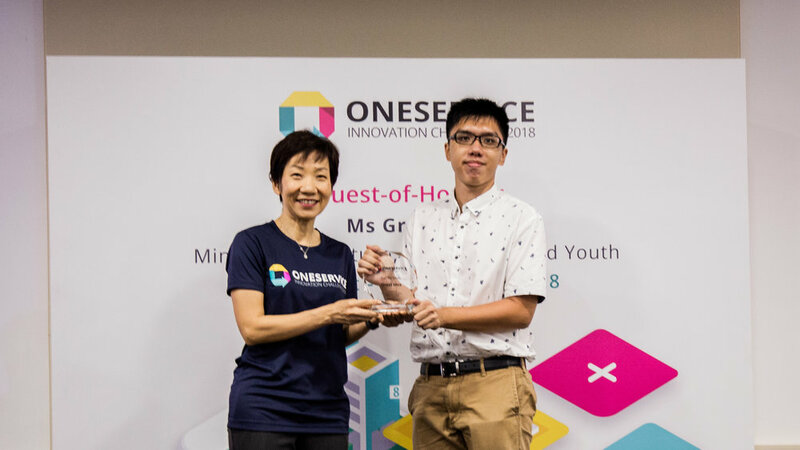 The Challenge was launched on 4 July 2018 and concluded on 17 August 2018 with a total of 234 submissions.. 11 submissions were chosen from the Challenge to receive prizes. 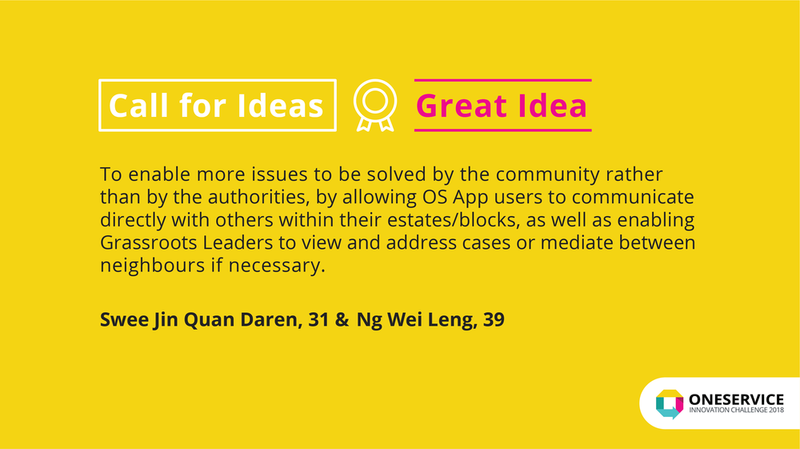 These prizes are 10 Good Ideas which will receive $100 each and 1 Best Idea which will receive $500. 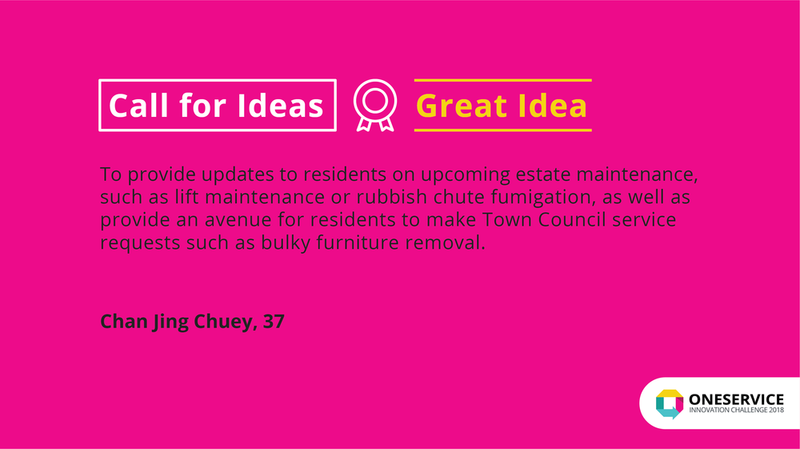 Scroll down to view the best idea & 10 selected great ideas.